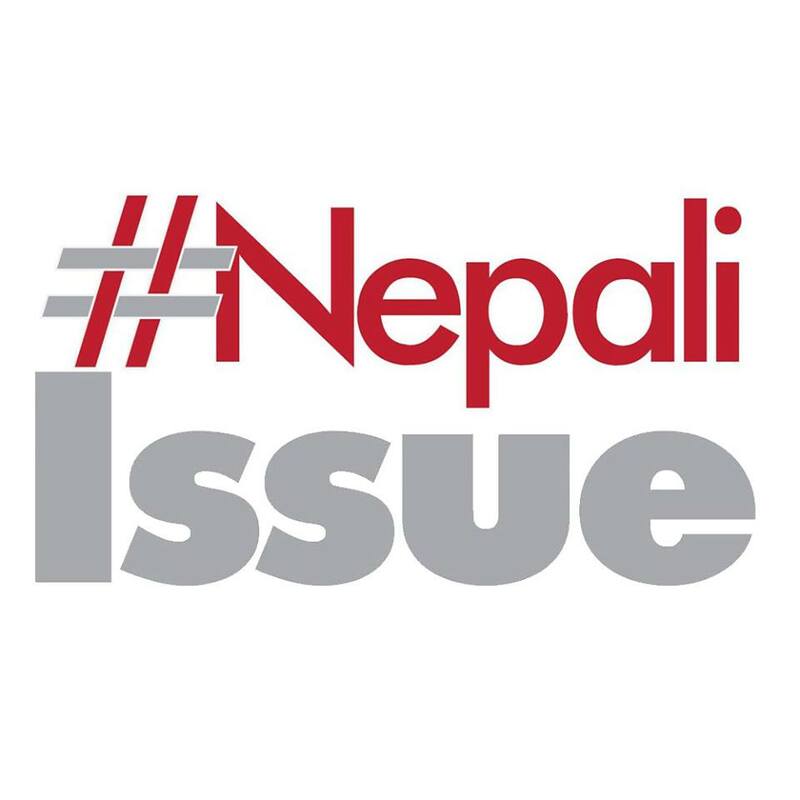 The Lion’s Club International, established by Melvin Jones, on June 7th , 1917 in Chicago, with a vision of integrating people‘s talent to work for improvement of communities as well as to achieve individual goal, is a well reputed international volunteer organization serving in Nepal since over 50 years. While the Lions are the association of the successful professionals, the Leo club is the structured association of the youths open to young men and women of fine character regardless of any races and creeds, governed by standard constitution, fostered and sponsored by the Lions and serving for the same purpose. Leo Clubs are sponsored by local Lions Club through Lions Club International, the world’s largest community service organization, with 1.4 millions members in 46252 Lions Clubs in 207 countries and 6226 Leo Clubs in 159 countries. 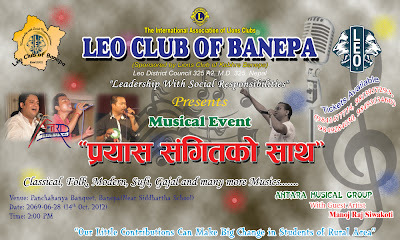 Leo Club of Banepa is one of those 6226 Leo Clubs in International arena which has adopted the same fundamental principle of community service and personality development of individual members. 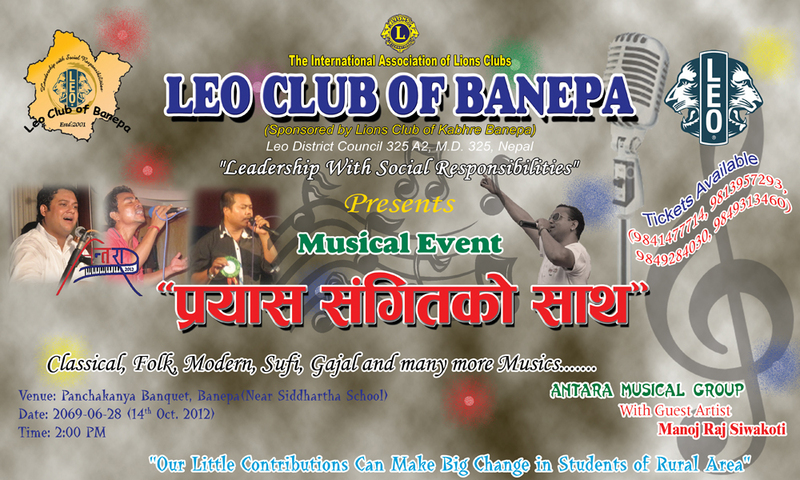 Leo Club of Banepa is also providing various projects in different fields integrating the young people having dynamism and tough character for improving the community and the nation. We have been creating a positive influence on today’s youth and young adults helping them become better citizens and leaders for life. Through out the service we have planned to conduct various Educational projects this year, especially focused on rural areas. As per the objective we are going to organize “Prayaas Sangitko Saath”, musical show such that we can generate support to accomplish our objectives.